Success in the plant means success in the supply chain. Success in the supply chain means satisfied customers, who can then satisfy their customers. To this end, we’ve implemented Lean Manufacturing. We’ve transformed our plant layout to house production cells that streamline the flow of work and enable quick responses to any glitch. 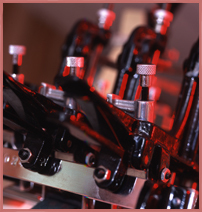 We constantly strive for new ways to manufacture more efficiently. Being Lean also means being flexible. Our plant layout and minimal management hierarchy allows us to jump in and immediately respond to our customers’ needs. 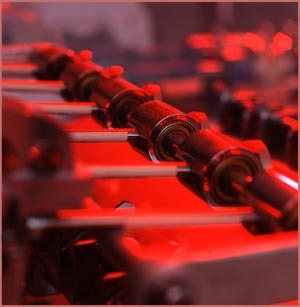 Bottom line: Being Lean helps us to produce high quality products at highly competitive prices. We know that simply being good is not good enough. We must constantly exceed our customers’ expectations. We deliver what the customer wants, when the customer wants it. We map the value stream back from the customer’s point of view in order to build our process. By understanding your needs and processes, we can identify areas in our own system to continuously add value. We’ve streamlined our management team to eliminate an unwieldy corporate hierarchy where there’s a lot of talk, but nothing ever gets done. When you talk to us, you’re talking to decision-makers. Our management is out there walking the floor every day. We know the process, and if there’s a problem, we’re there. As for our employees, Pearl has earned virtually zero employee turnover. And we know that says a lot about us. We implement concepts from the Six Sigma model of applying technology for improvement. To this end, we’ve equipped our plant with state-of-the-art machines and have been approved for numerous certifications that make us the top choice for leather in the automotive industry. We also use top quality management tools for betterment, and we are one of the few companies in the automotive leather industry to implement Six Sigma, the highly disciplined process for delivering perfect products and services. In the automotive industry, you don’t miss a deadline. You just don’t. We understand that, and that’s why you can trust Pearl Leather to be on time, every time. We know your customers, we know your process. We’ve streamlined our process to cater to you. We’re driven to relentlessly look for ways to improve the process by maintaining the highest level of products and service while driving down costs. Our determination helps us keep pace with changes in demand, eliminate unproductive steps, and reduce product variation.